Coral Gables, Florida, situated along Miami-Dade County’s bayfront coastline, was one of the first planned cities in the United States. Established in 1925, it was inspired by the City Beautiful movement of the late-nineteenth and early twentieth centuries—an urban design concept that maintained that a community’s design couldn’t be divorced from its social issues. In continuing to heed this vision, the tree-dotted, Mediterranean-style community is applying smart city concepts to improve the services it offers to citizens, businesses, and visitors. To achieve that, Coral Gables recently launched an open data site on ArcGIS Hub that it uses to provide convenient access to city data and services, advance important initiatives, and improve quality of life for residents and tourists. 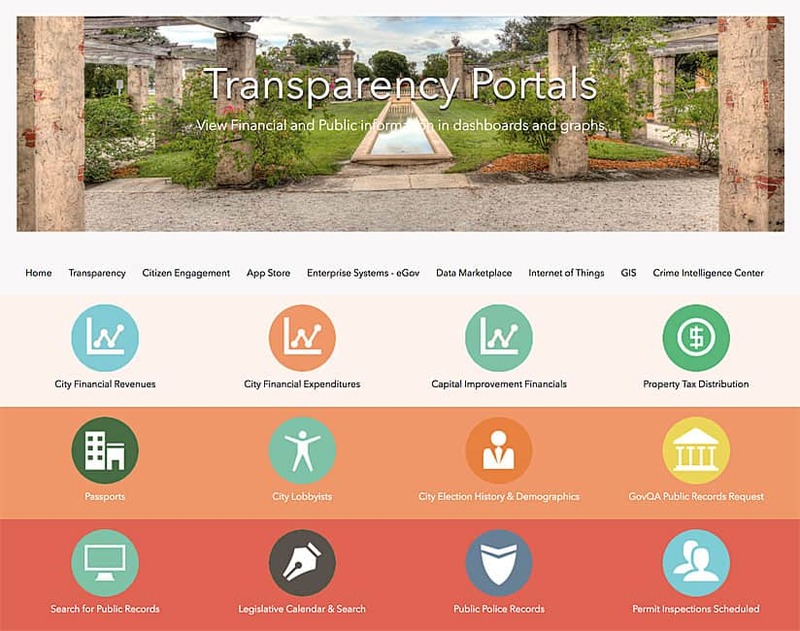 On the Coral Gables Smart City Hub, anyone can view the city’s financial, legislative, permit, and other public records easily via a variety of new and existing services. Coral Gables has been long acclaimed for its beauty and livability. Given its stature as a leading planned community, the city is embracing technology and innovation with the aim of becoming a truly smart city. For the past three years, Coral Gables has been working to align its road map and strategic plan with its mission: being a world-class city with a hometown feel. To that end, the city’s IT department has been busy building a digital ecosystem of people, businesses, organizations, systems, and other things that contain, promote, and sustain that smart city culture. In early 2018, IT staff used ArcGIS Hub to launch an open data site for Coral Gables. Now, anyone can view the city’s financial, legislative, permit, and other public records easily via a variety of new and existing services. Introduced in April, the Coral Gables Smart City Hub receives more than 300 visits per day. The hub’s purpose is to simplify how people access city services and information that would typically require a call or visit to one of the city’s offices. It is just one of several interconnected and interoperable elements—including other data platforms, the Internet of Things (IoT), and robust high-speed communication networks—that is beginning to transform how the city and its citizens communicate with each other. The glue that binds all this together is GIScience, which enables Coral Gables’ IT department to horizontally integrate apps and data—removing data from silos, finding and filling data gaps, and resolving redundant and duplicate data. 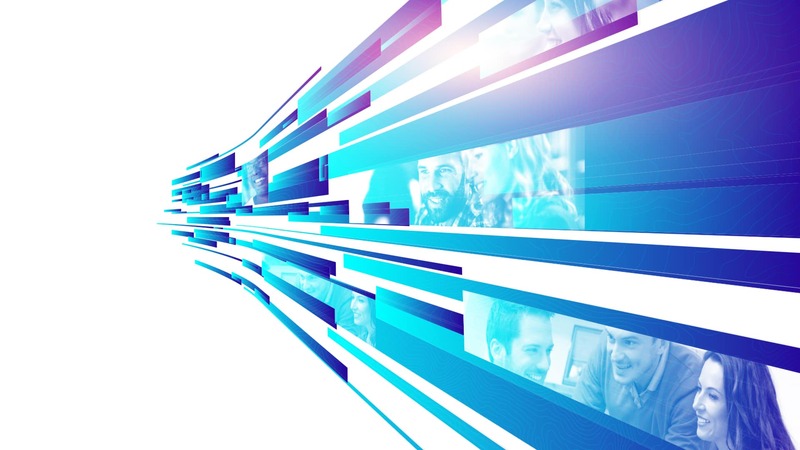 Additionally, IT staff employ hybrid clouds and hyperconverged infrastructure to enhance the hub’s capabilities for artificial intelligence (AI) and machine learning. An advantage of having ArcGIS Hub is that the City of Coral Gables can put a variety of community engagement initiatives in the platform. 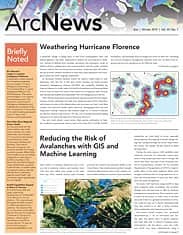 One of the city’s first ArcGIS Hub initiatives is a collaboration with the University of Miami’s School of Architecture and Center for Computational Science that invites participants to design their own smart city solutions for Coral Gables. The initiative provides contestants with access to datasets and a platform that teams can use to collaborate on their designs. Participants are asked to create prototypes of technology solutions and apps for known transportation and traffic issues with the aim of improving residents’ quality of life and visitors’ experiences. That’s something that a lot of communities, not just Coral Gables, want to provide for their citizens. Implementing ArcGIS Hub helps residents communicate their concerns with city stakeholders and collaborate more effectively with them to come up with solutions. In turn, this makes it easier for cities to implement technology that can make discernible improvements in safety, transportation, convenience, and government processes. As with most cities, ensuring public safety is paramount for Coral Gables. With ArcGIS Hub in full use, the city now has an array of collaborative policing and emergency preparedness tools that it didn’t have before. Data platforms, robust high-speed communication networks, and Internet of Things-powered devices—such as the pedestrian sensors deployed on the promenade in Giralda Plaza—are transforming how the City of Coral Gables and citizens communicate with one another. Smart policing is one public safety initiative that has benefited tremendously from using hub technology. Citizens can access police data through the Smart City Hub, and the GIS layers available via the hub can be referenced by or integrated with Coral Gables’ smart policing systems. The Crime Intelligence Center (CIC), for example, uses a stack of GIS-based and GIS-reliant technology to help reduce and prosecute crime within and near Coral Gables’ boundaries. Built by the city’s IT department, along with the police department and other public safety teams, the CIC employs closed-circuit television (CCTV) to find and track suspects within the city; a video analytics tool, called BriefCam, that compresses all the video data and uses AI and machine learning to find patterns; and CrimeView, an app based on ArcGIS, to map and analyze crimes. Top officials from all city departments engage with the data from these sources in biweekly strategy sessions, where they discuss how to respond to and plan for various types of crime. The use of these technologies in concert with one another has contributed to a 30 percent decrease in crime in Coral Gables over the last two years. And citizens have access to more information about all this via the Smart City Hub. Hurricane preparedness is another public safety issue that has benefited from having hub technology. When tropical storms come through Coral Gables, city staff, citizens, and visitors work together to gauge the threat, commit adequate resources to it, assist in safeguarding lives (by conducting evacuations and identifying shelters), and ready robust responses. ArcGIS Hub makes it easier for people to gain access to vital mapping and data tools so they can collaborate in managing these environmental events. Planning for and managing an innovative and sustainable city require stakeholders from various departments to agree on targeted actions, adhere to schedules, properly allocate resources, and acquire adequate funds. For Coral Gables, its Smart City Hub is becoming an integral part of that process. In 2015, for instance, the city embarked on an ambitious sustainability plan to minimize energy expenses and gain energy efficiency. Some of the objectives of this plan include converting the city’s public service fleet (e.g., sanitation vehicles) to electric to reduce gasoline consumption, making water-saving upgrades to green space and landscape irrigation systems, and advancing Leadership in Energy and Environmental Design (LEED) building practices. In three years, this plan has had some concrete successes. For example, under the Property Assessed Clean Energy (PACE) program, which helps homeowners and business owners finance renewable energy and energy efficiency upgrades, Coral Gables has completed more than 200 energy mitigation and building improvement projects at a value of nearly $7 million. 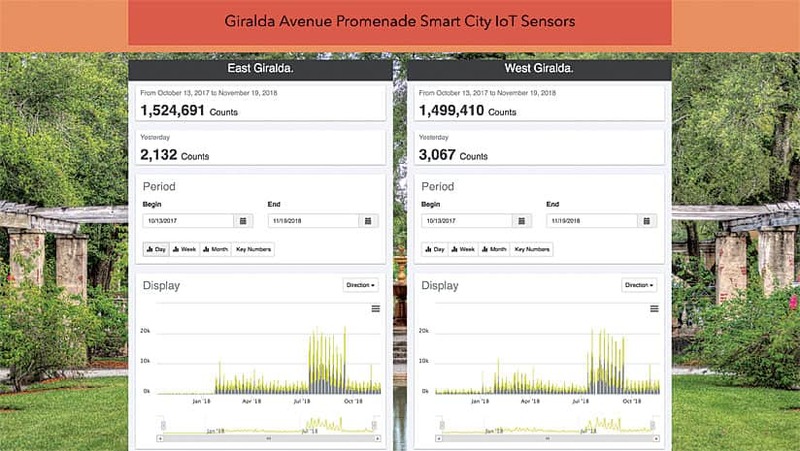 Soon, the City of Coral Gables will be able to report these metrics and the impacts of these newfound efficiencies dynamically via the Smart City Hub. All the information will be available on dashboards, which local citizens, business owners, and even visitors will be able to use to see where these improvements have taken place throughout the city and how they have affected critical resources such as air and water quality. “All that [statistical] data becomes actionable information—for business development and commercial purposes but also for regular citizens and those who know metrics and data,” said Rodulfo. The goal is for that to drive additional engagement from stakeholders and continue to stimulate innovative sustainability efforts. Mark Hébert is the GIS manager for the IT department at the City of Coral Gables, where he manages all GIS enterprise services and support. Hébert has worked for the city doing GIS since 1998. 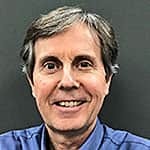 In 2016, he moved the city’s GIS operations into an enterprise licensing agreement with Esri to broaden the reach of GIS across all city departments. He is currently completing his MGIS degree from Pennsylvania State University.